In its 3000 years of existence; seven cities have risen where the present capital of India stands. Here you'll encounter a fascinating blend of the ancient and the contemporary. Where government buildings, medieval palaces and bazaars exist beside a modern metropolis. Delhi is a city waiting to be explored. Opposite the Red Fort lies Jama Masjid (Friday Mosque) made of red sandstone and white marble, completed in 1656 at a cost of one million Rupees has perfect proportions. Jama Masjid is India's largest mosque where more than 20.000 people can kneel in prayer. The interior of the prayer hall is divided into aisles by arches. The walls and floors are of marble inlay panels. Also visit the Raj Ghat on the banks of the river Yamuna, Mahatma Gandhi's Memorial, where he was cremated following his assassination in January 1948. The memorial lies in the midst of landscaped gardens and made of a simple square platform of black marble inscribed with his last words "Hey Ram". An eternal flame burns 24 hours. In the afternoon visit New Delhi. You will drive past India Gate Built of Bharatpur stone, commemorates the 70,000 Indian soldiers who died in the 1st world war. 13516 names of British and Indian soldiers killed in the Afghan War of 1919 are engraved on the arch and foundations. Photo stop at Rashtrapati Bhawan once the Viceroy's residence is now the official residence of the President of India. Visit the Humayun's Tomb, built by his wife Haji Begum in the 16th. Century. 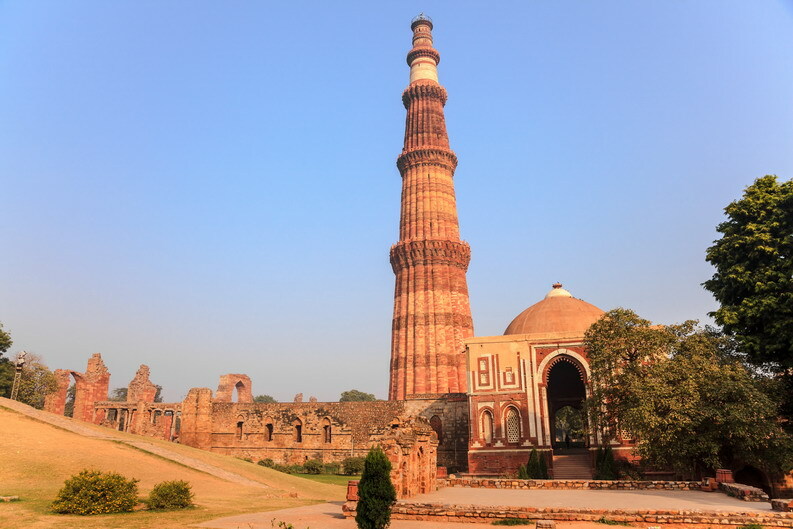 An early example of Mughal architecture considered the predecessor of the Taj Mahal. The most extravagant monument ever built for love is a tribute to the timelessness of art and love. The inimitable poem in white marble, one of the seven modern wonders of the world, the finest expression of love of Emperor Shah Jahan for his queen Mumtaz who died giving birth to their 14th child, is located on the banks of the Yamuna river here. 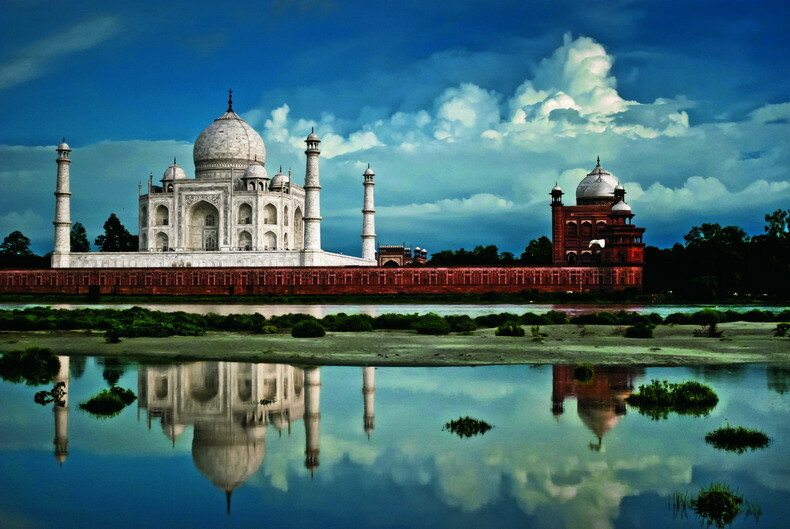 The construction of the Taj had commenced in 1631AD and had ended in 1653AD. Workers were gathered from all over the country and from central Asia. About 20,000 people were recruited to translate this dream into reality. The main architect was Isa Khan who was brought from Iran. Jaipur the pink city of India, is the capital of the ethnic and beautiful state of Rajasthan. 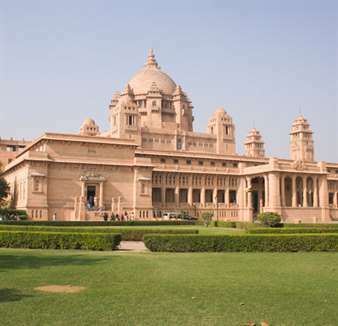 The city of Palaces was founded on 18th November, 1727 by the great ruler Maharaja Sawai Jai Singh II. Tourist can enjoy the view of some of the majestic and beautifully built forts like the Hawa Mahal, City Palace, Nahagarh Fort, and Jaigarh fort. You can shop exclusively designed carpets, handicrafts, and jewelries. There are myriad festivals that are organized for entertaining the guests who come to visit this place. Elephant, Gangaur, Teej, and Kite festival are some of them you can never miss to see. This city experiences hot semi arid climate, where summer is relatively hot.